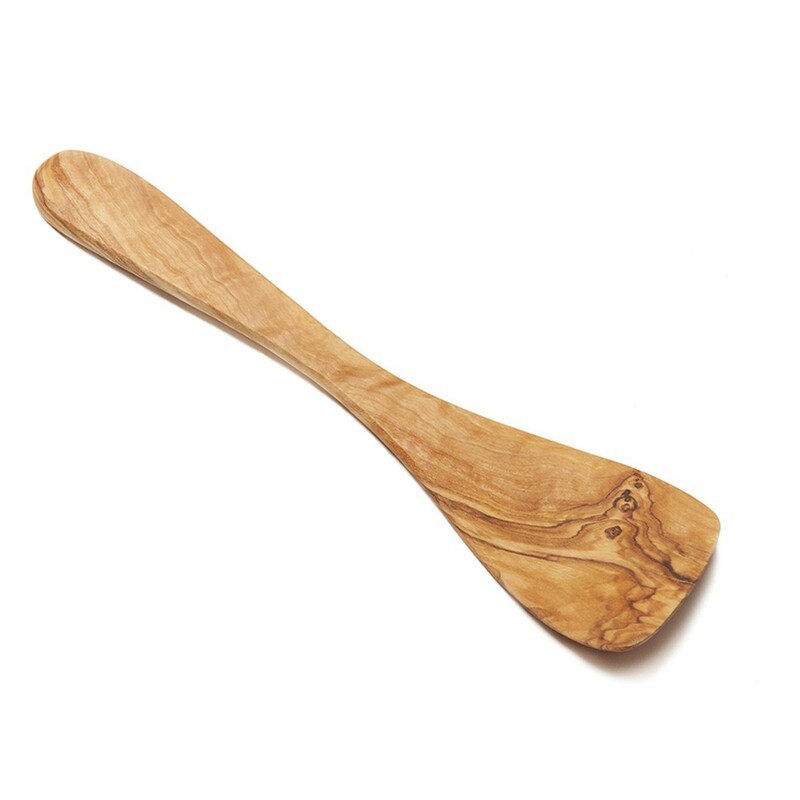 With our olive wood spatula you'll be able to ban plastic from your kitchen. From purest olive wood, our kitchen utensils are extremely robust, heat-proof and therefore pollutant-free. The elegant grain makes every spatula unique. Approx. 30 cm long and approx. 7 cm wide it is great for stirring and turning. The scratch-proof and hygienic olive wood are suited for Woks and ceramic pots and pans. 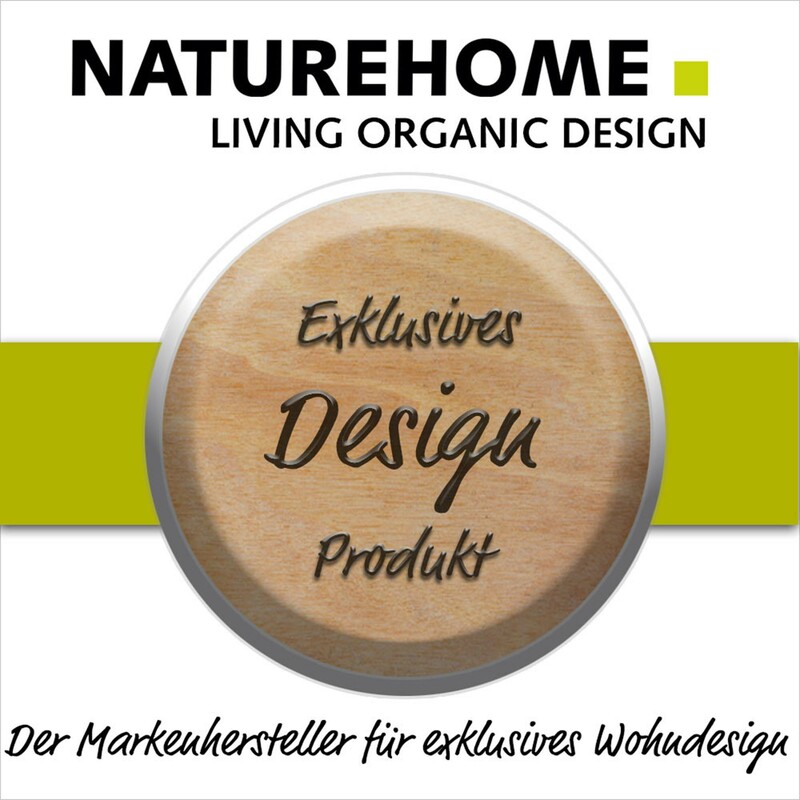 Our NATUREHOME olive wood spatula is made from 100% of the precious olive tree wood. Kitchen utensils from wood, especially pure olive wood, convince with a multitude of features during the use in the kitchen and whilst cooking. Even though plastic products don't leave scratches on the Wok or sensitive ceramic pans either, but lately plastic in the kitchen has become quite of a bit of an issue. Harmful substances can be exuded when those plastic products are heated. That's why it is suggested to use wooden cutlery especially for cooking.The extremely slowly growing, hard wood of the olive tree makes our spatula robust, insensitive and durable. The very close-grained wood of this kitchen aid has only been treated with linseed oil. That's why it is extremely hygienic and smell-, germ- and stain-resistant. The characteristic grain varies on every piece and makes every wooden spatula unique. The sleek shape and the partially grounded olive wood lie pleasantly in hand with a light weight of 75 g. Our spatula is suitable for right-handed people. Because wood is a living material, it shouldn't be machine-washed. Meassurements: Length: approx. 30 cm, Width: approx. 7 cm, small differences in size are possible due to the natural material olive wood Care instructions: Olive wood products are not machine-washable. Use soft sponge or cloth with sensitive cleaner and rinse with luke-warm water (hot water can create flaws). Afterwards rub dry, do not leave to dry, and treat with some olive oil. So the wood won't dry out and its characteristic grain and amber wooden color are protected.The production of our olive wood products is very costly conducted in handiwork. The processing of the wood that has naturally dried for a couple of years takes place in one piece which creates small differences in measurements, color intensity and the characteristic grain compared to the pictures. Every piece is an individual unicum. 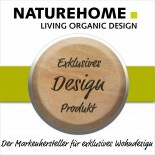 Because it is a natural product, small fissures and growth can occur in the extremely hard, slowly grown olive wood.